Makesbridge publishes a marketing automation platform that is used by companies around the globe. The platform features easy-to-use tools that offer automation that everyone can do. Even the beginners can easily execute their essential prospect management tasks, such as; email marketing, direct mail, automated nurturing, advanced targeting, lead qualification, behavior tracking, business intelligence and sales alerts. We have worked with all kinds of companies grow their technology and systems integration. From independent contractors to corporate icons, media houses to Fortune 500, we’ve helped companies improve their way of doing business and generate revenue faster. Our single point agenda is to help businesses grow faster. Makesbridge is the first marketing automation company to provide a combination of power, economy, package flexibility and support. The on-demand product is delivered without long-term obligation via monthly subscription. In addition, you can customize the subscription by calculating your cost. Makesbridge price and feature calculator helps you pick up the best and desired package for your business. We have not only worked with small and medium sized customers but also helped large and well-known companies in achievement of their marketing and CRM goals. Recognized names such as Time Warner Cable, Johnson & Johnson, Hewlett Packard, Microsoft, and NCR have used the Makesbridge platform. Makesbridge was founded in 2001 and is located in Saratoga Village, California. Jay founded Makesbridge in 2001. As CEO, Jay directs product development and business development strategies. Under Jay's leadership, Makesbridge has established itself as a premier publisher of on-demand sales and marketing automation tools. Makesbridge Technology's BridgeMail System product is listed in the Top 25 Most Popular Applications on the Salesforce Appexchange. Jay remains actively involved with select customer engagements to maintain an intuition about customer needs and gain visibility into dynamics and products that are driving the SaaS and cloud computing product markets. During his tenure, Makesbridge has served notable companies such as Microsoft, Dell, Hewlett Packard, and Time Warner. While he considers the ability to service such large companies a tremendous accomplishment, he's equally heartened by Makesbridge's ability to service very small organizations. "It's a reflection of the relevance and range we continually aspire to achieve." Prior to founding Makesbridge, Mr. Adams was V.P. of Business Development at Audiohighway. Jay was responsible for content distribution, marketing, and content licensing. While there, Jay negotiated deals and strategic alliances with Microsoft, Real Networks, Yahoo, and Warner Music Group. Additional responsibilities included building a business development team to execute content and distribution deals. These relationships generated millions of user visits per day and consistently ranked audiohighway.com as the number-one ranked music streaming website. Before Audiohighway, Jay was the Director of Business Development for Software Buyline, a provider of encryption technology for consumer and small business grade software products. Jay oversaw technology licensing and partnerships with ISVs, hardware OEMs, and online retailers. Jay has served on Advisory Boards for a number of Silicon Valley companies and attended the University of Southern California and completed the EPGC program at Stanford University Graduate School of Business. Kevin has more than 20 years of experience in the enterprise security space. He brings a strong perspective on all matters related to information security on a global scale. BIn addition to his security background, Kevin brings a world-class perspective in enterprise sales processes. Kevin started his career in enterprise security working with Netegrity (now CA) where he was one of their first sales reps. Kevin worked for enterprise sales at some of the largest companies in the industry including; IBM, Sun Microsystems, and Symantec before joining Palo Alto Networks in 2013. Areas of Expertise: Technical Team Development, Online Product Development, and Google Technologies Steve's successful track record as an online entrepreneur and his thought leadership add clarity and precision to our product and growth plans . Steve's critiques and feedback about our products and R&D concepts allow us to invest within technical realities and still maintain a peripheral, doe-eyed view of "what could be". His senior role at Google facilitates communication and the exchange of ideas on potential collaboration between our companies. About: Prior to Google, Steven founded NeoEdge Networks to help consumer, gaming, and online entertainment companies deliver highest-quality user online experiences, achieve unprecedented efficiencies, and reap increasing benefits from doing business over the Internet NeoEdge Networks today is the leading in-game advertising company for casual games in the world, providing ad-enablement services and technology and targeted advertising sales to companies interested in delivering free ad-supported games to consumers. His responsibilities at NeoEdge included the evolution of truly innovative products, business models and opportunities for both NeoEdge and its customers. As CEO at NeoEdge (formerly Kinitos) from its inception in 2002 through 2005, Steven assembled a world-class team and drove the creation of the Company’s patent-pending web services platform, positioning NeoEdge as the world’s leading enabler of advertising business models for gaming and entertainment companies. Prior, Steven was a VP of Voice Services for America Online/Time Warner, creating high-quality interactive consumer solutions for millions of users. He joined AOL through the acquisition of Quack.com, a company he co-founded, and which earned acclaim as the world’s first consumer Internet portal accessible entirely by voice. At Quack.com Steven led all aspects of service innovation and technology development as CTO and VP Products. 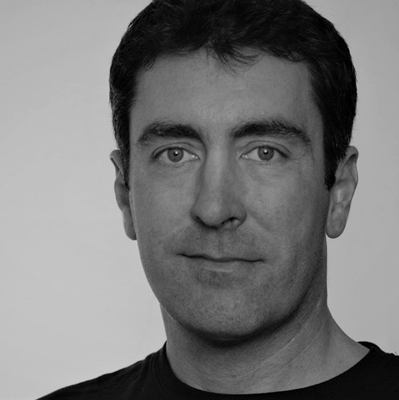 In addition to a background in enabling consumer products, Steven has an extensive experience in all aspects of software development, including previous senior roles at the Software Engineering Institute at Carnegie Mellon University, Australia’s CSIRO and Canada’s Department of National Defence. 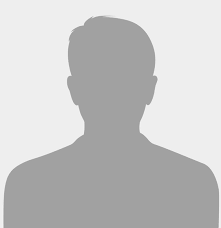 He has received numerous awards, is author of numerous patents, technical publications/books, and holds Masters and Ph.D degrees in Computer Science from the University of Waterloo in Canada. Mike is currently a senior executive at a top enterprise software company where he is responsible for Strategy and Development of large software initiatives such as Database, Middleware and Management Systems. His focus ranges from building IaaS solutions for complex cloud management and development, systems infrastructure management software, middleware and database solutions. Mike is fully versed in development and executing large and small software systems and the unique challenges that it brings. Mike’s experience is wide, taking two technology startup’s to IPO early in his career and joining Sun Microsystems through acquisition of a 3rd. He has been active in the startup industry being a technical advisor of two companies in the past. He uses his extensive knowledge of software development, systems architecture and business operations to run a large scale software development group. Mike has extensive experience in mergers acquisitions having overseen four software acquisitions and running the due diligence process for each of them. Mike holds a Bachelors and Masters degree in Computer Science, a PHd in Computer Software Architecture and an MBA. Mike's background in middleware design and scaled hardware fabrication offers our organization a highly credible sounding board for features and deployments while in their conceptualization phase. Mike's expertise in OS and hardware evolution help us anticipate the far-reaching possibilities presented to our organization and product markets by Moore's Law. A multi-faceted engineer, Michael Bishop is currently a Senior Platform Engineer at 3VR Security where he designs embedded and server class hardware for 3VR's industry leading video analytics and searchable surveillance solutions. Michael was a key contributor to 3VR's S-Series SmartRecorder that received the 2009 Product Innovation Award in Physical Security. Prior to 3VR, Michael held senior systems and hardware design engineering positions at Certify Data Systems, Pratt & Whitney, and WJ Commnications (formerly the Watkins-Johnson Company). Michael earned a M.S. degree in Electrical Engineering from Stanford University where he published 2 papers on Fiber Sensor Arrays as a graduate research assistant. Michael also earned B.S. degrees in both Mechanical and Electrical Engineering from the University of Illinois Champaign-Urbana and is the recipient of the award for Outstanding Achievement by an undergraduate in the field of HVAC. In his free time, Michael enjoys playing hockey, snowboarding, and running. Mark routinely offers feedback and guidance about our data center operations, infrastructure, and Info Sec practices based on his high standards of reliability, security, performance, and scale. His pedigree and consultation bolster confidence to reliably deploy our applications to users around the globe. Mark has been a leader in the area of Service Engineering and Operations for large-scale online services for more than 13 years. Currently Mark leads Yahoo! Rewire Team, this team is focused on Data Center, Service Engineering and Operational Efficiencies. Mark headed up the Data Delivery Services Organization at Yahoo! as well. Before Yahoo!, Mark led the Windows Phone 7 Service Engineering/Operations teams. Mark was also responsible for leading the Premium Mobile Experience (PMX) Services Operations Organization. Prior to taking on the PMX challenge Mark successfully reinvigorated the Global Quality of Service Program. The GFS QoS Program has since been adopted by all Windows Live Services as well as MSN, Ads, and several others. Mark was also successful in implementing the regionally focused Quality of Service Programs in ASIA, Japan and UK regions. While leading the GFS QoS Program he received the 2008 Engineering Excellence Honorable Mention. Prior to Microsoft Mark spent time at both eBay and PayPal building out a unified and comprehensive large scale Enterprise Management Platform. Before Marks move to large scale online services he held development and leadership roles in Enterprise Management Systems as well as Workflow Platforms. Mark has architected, developed, deployed and matured “best in class” Enterprise Management Platforms for General Motors (EDS), Blue Cross Blue Shield of Michigan, Excite@Home and eBay. Mark has also sat on Technical Advisor Boards for BMC, IBM, Gomez, Keynote, and MakesBridge Technology and holds several patents. His areas of expertise include leadership, management solutions for mega-scale enterprise platforms, Operations Center tools, monitoring, processes, negotiations and vendor management. Mark was born and raised just outside of Detroit, Michigan and relocated to the Silicon Valley in early 1999 to catch a ride on the internet bubble. Mark has been playing hockey since early childhood and enjoys most competitive sports/activities. Expertise in operations engineering, management and industrial automation. John's broad experience in operations and industrial automation brings the guidance necessary to achieve our ultimate objective - seamlessly blend media, business process, and cloud applications to deliver the world's most efficient and affordable business process platform. Mega scale host and infrastructure management, planning, team building, and response support. Glen's experience as a senior executive at @Home, eBay, Microsoft, and Cisco equip us with truly indispensable guidance as we work towards serving millions of businesses around the world. Glen's previous work in building-out and overseeing some of the world's largest hosted platforms in the dot-com era and current XaaS age ensure MakesBridge is prepared to meet the challenges associated with rapid growth and scale. Glenn is currently Sr. Director of Cloud Services in Cisco's Small Business Technology Group. His responsibilities include development and execution of a PaaS and IaaS strategy which includes establishing a platform upon which an array of multi-tiered Cloud Services will be delivered. Glenn's direct responsibilities include Architecture, Software Development, Infrastructure, QA, PgM, and Operations. A Senior Executive with over 18 years of experience in software development, site operations, brand management and technology business and market development who has managed groups as large as 470 and budgets as large as $160M. He is a builder of businesses, who's specific areas of expertise include expanding organizations and businesses through exemplary leadership and strategic planning, superior negotiation, effective process design and technology integration and, exceptional people development practices. Wireless, telecom, and mobile device product markets. Business development, product marketing, and market analysis. Derek is a widely recognized expert who brings valuable guidance and thought leadership to our mobile computing and Saas product strategies. Derek's unsurpassed exposure to emerging technologies and pedigree as a respected industry commentator feed steady and carefully measured insights into our product strategy for mobile business users. Mr. Kerton's expertise in relating communications technology to real business strategy is recognized by large and small companies around the world. He has worked with multinational wireless carriers, wireless LAN companies, software companies, startups, media brands, developers, mobile device manufacturers, and some of the top 100 websites. Mr. Kerton is the Chairman of the Telecom Council of Silicon Valley, and sits on Advisory Boards for envIO, Aegis Mobility, RCR Wireless, and others. A regular writer for RCR Wireless and Techdirt, Mr. Kerton has been offering industry insights to the public since 2001. Building on his previous employment at Ameritech, Sun Microsystem's Javasoft Division, Disney, and the Infoseek portal, his experience has proven useful to his expansive list of clients including: Sony, SK Telecom, Ebay, IP Wireless, NextG Networks, NTT DoCoMo, British Telecom, Telefonica, and Broadcom, among others. With extensive experience with cellular, WLAN, content, apps, converged devices, LBS, mobile video, and many more current issues, Derek is equipped to interpret any developments within the telecommunications industry. Derek is fluent English, French, and Spanish, has an MBA from Cornell University and a Honors BA in Economics from the University of Waterloo. Makesbridge develops and publishes a suite of online marketing and sales software products that help businesses activate technology and boost revenue. We’ve been on the cloud since inception. We help businesses improve sales and increase their bottom line with outstanding hassle-free service. We focus on quality and personalized service, not quantity. Because we are privately held and profitable, we make decisions based on delivering value and simplicity to our customers. We show sincere respect for self, individuals, customers and competitors. We earn and expect the same. “No Contracts, No High Price” allows customers to simply stop at any time. This is how we maintain a healthy edge – by delivering results for a low cost.